It's been a long time since I've written because life is busy just now. 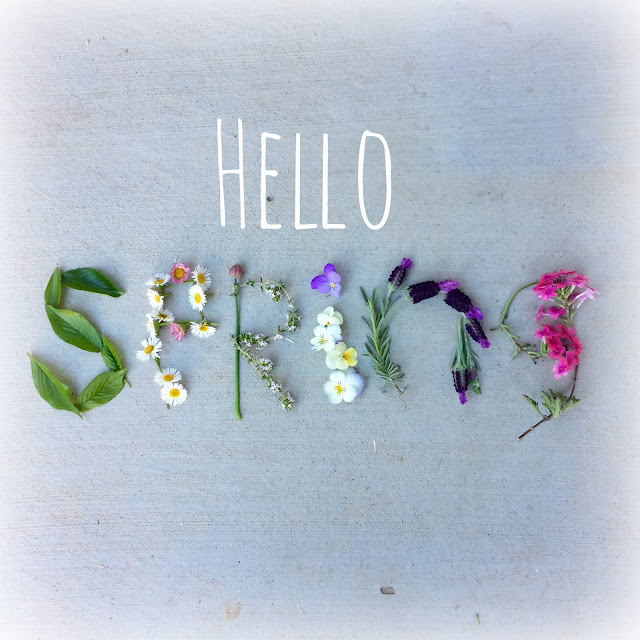 Then it was Winter and now it is Spring already and my allergies are in full bloom. I picked the flowers below from my garden yesterday. Everything is green, flowering, pretty and laden with pollen. 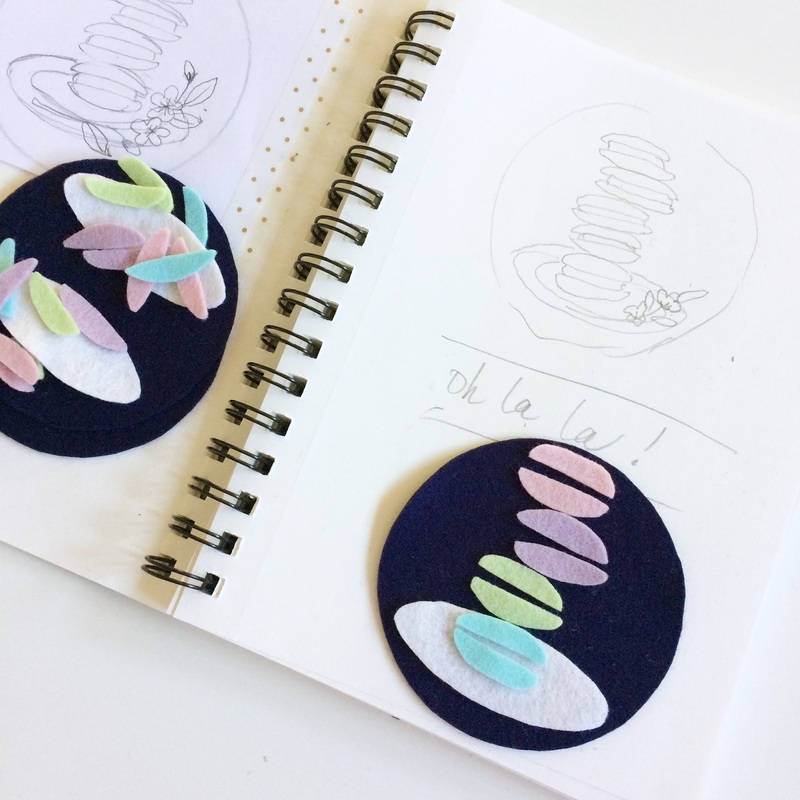 I've been working hard on custom orders for my Etsy shop and I am teaching a costume design class again this year. Here is the newest pincushion in my shop. I was inspired by the idea of an impossible stack of pretty pastel macarons on a white tea plate with some fresh flowers for a garnish. These colors feel perfect for the season. The pincushion top is navy blue which makes all these lovely pastel colors really pop. 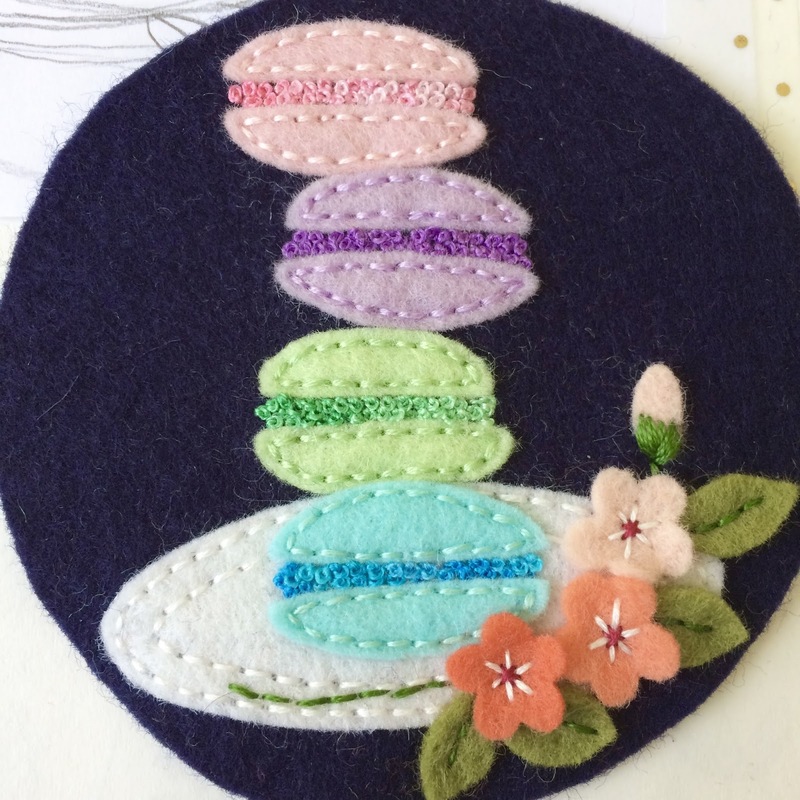 Lots of french knots make up the special filling for these macarons. I used a variegated thread when I had one which was the right color. Around the side of the pincushion, I embroidered "Oh la la". My french grandmother used to say this frequently and we always knew what she meant by her tone. Usually there were many more "la la's" plus accompanying hand gestures and the classic Gallic shrug! I'm really enjoying these colors together. 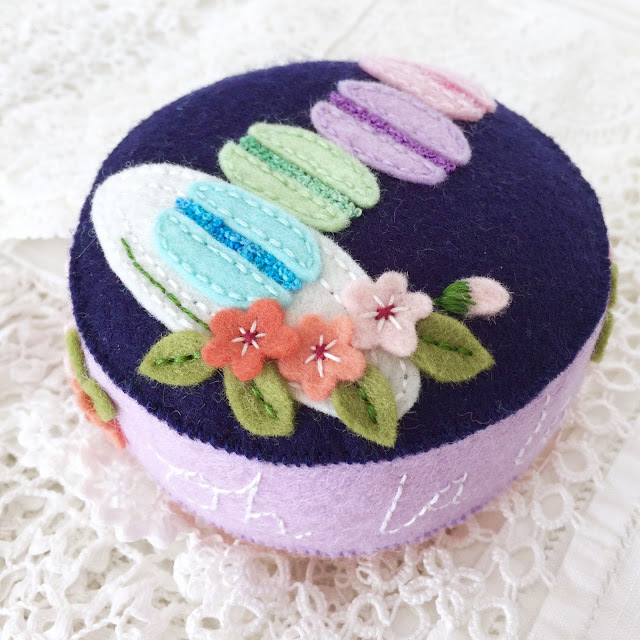 I kept one of these finished pincushions out on my work table for a few days so I could enjoy looking at it but it is now back in the box to keep it safe and clean. Here are some more garden flowers on my mantel, safely out of reach of my flower-eating cat!